This course is for anyone interested in building projects that help solve real time problems. The course requires basic knowledge of python & php programming. If you are new to Raspberry Pi, I would recommend enrolling in my previous course, “Introduction to Raspberry Pi”, which is also available on Udemy. Helmets are necessary safety gear to prevent injuries in an accident. We can improve the functionality of the helmet by adding hardware that can make it into a smart Helmet and solve various problems in our day-to-day life. In this course, you will learn to detect the accident occurrence without human input. We will add functionality to detect drunk driving and also extract the coordinates of accident location. These would be sent to the server for further processing. We will be working with GPS Module & Google Maps API to get the location details. This course will provide you with the knowledge of working with Raspberry Pi Zero along with GPS Module, Vibration Sensor and Alcohol Sensor. On the Software part, after this course, you can manipulate data from Raspberry Pi and Server, Work on Google Maps API, Finding nearest Hospital to the accident location and Send automated text alert using free SMS Clients. I will also introduce you to the concepts of GPS tracking and to detect vibration & alcoholic bike rider using sensors. You will also learn how to connect things (Helmet in this case) to the internet (IoT). Data manipulation in cloud using raspberry pi. In this course you will also learn how to send text alerts using free clients like Way2SMS through automated php script. I have taken utmost care to explain python and php programming with minute details. 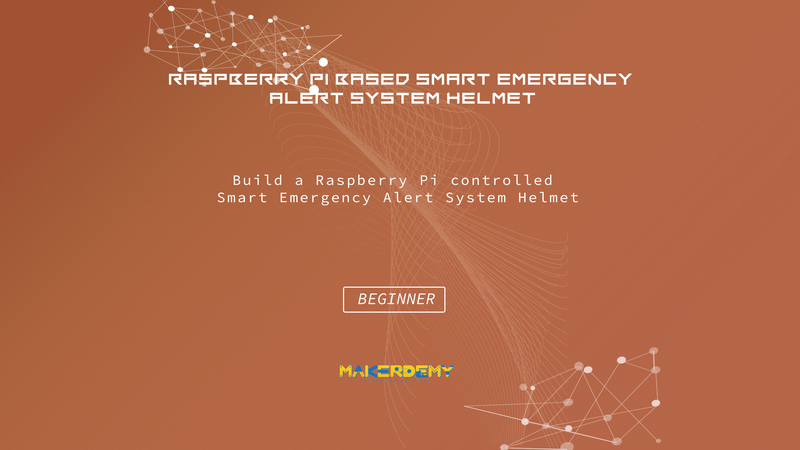 By the end of this course, you will have the skills and confidence to build your own smart helmet.